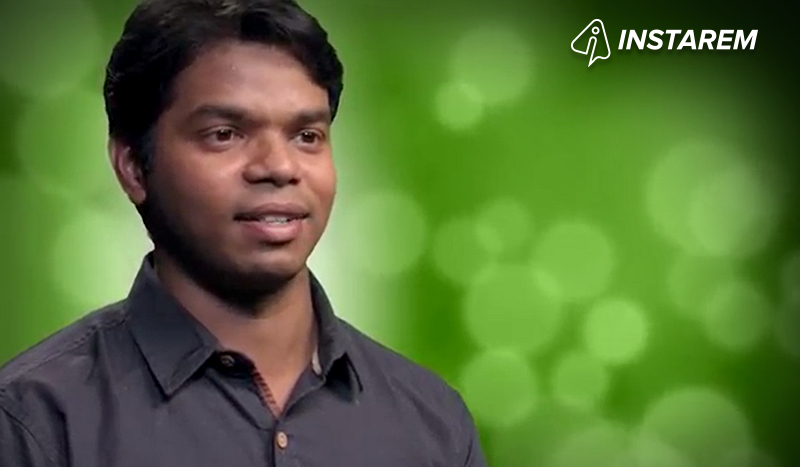 Whether its clothes for his sister, tuition fees for medical degrees, a necklace for mum or simply helping a mate pay for a wedding, InstaReM helps software engineer, Raghu, maintain his support to loved ones back home in Andapuri. My name is Raghu, I’m from Andhra Pradesh, South India. I’m a software engineer here in Australia. I moved to Australia for its challenges, lifestyle, culture and a lot more. Just last year I got married in India and now I live here with my wife, in fact, we’ve got out first year anniversary coming up! Do you have any family back home in India? I have a big family back home in India. I have my parents and my sister, and my in-laws. It’s a big family, and my family and my in-laws are always close to each other. I like to stay in touch with them all, I call them every day and I share everything with them. I send them photographs, videos, everything. I like them to see what I’m experiencing here. They live there, what I live here. How often do you send money back to India? I send money back to India every month. What are the main reasons you send money back home? There are a lot of reasons I send money back home. I have family there, I have friends there and I do care for them, I love them, that’s why I send money back. I send money back home for gifts, for financial support and education. I supported my sister’s education and now I’m going to support my brother-in-law’s. My sister completed a Masters degree and now she’s going to do a PhD and my brother-in-law is also going to do a Masters in medical sciences, he’s going to be a doctor, so I need to support him. My sister also loves shopping and she loves buying electronic gadgets and clothes for herself and she loves shopping on the money that I send her! She loves it and so do I. What sort of ways do you help your parents? My dad is retired so I like to support him in his retirement to give him that little bit of luxury that I have here in Australia. I like my dad to have a nice car to drive in and to have a comfortable, luxurious life, one that he cannot afford on his own. Recently I bought a necklace for my mum too and she loves it! You also like to help friends out. Can you give us an example of using InstaReM to support friends? I have a friend who takes care of his two sisters and he’s responsible for them. One of his sisters is getting married and marriage is a grand style thing in India so he needs money. He’s been a good friend of mine for the past eight years and I feel it’s my obligation to support him. So, how did you find out about InstaReM? I found out about InstaReM through one of my friends who referred me to them. From then on I’ve only been using InstaReM. Would you recommend InstaReM to your community? I’d definitely recommend InstaReM to my friends and family, because it’s fast, safe and secure.